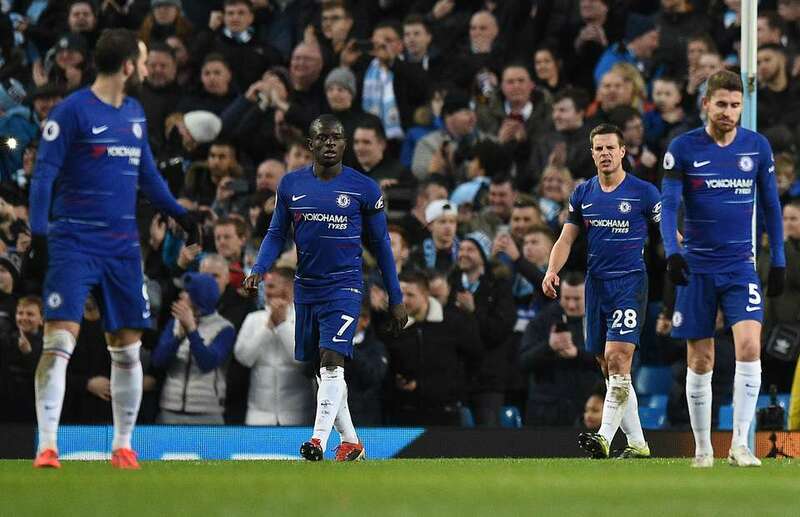 Chelsea were condemned to a humiliating 6-0 defeat by Manchester City on Saturday, with Sergio Aguero hat-trick sealing a famous night for the defending Premier League champions, who also condemned the west London side to their worst loss since a 7-0 hammering Nottingham Forest in April 1991. This embarrassment followed two previously disappointing away outings — a 4-0 loss to Bournemouth and a 2-0 defeat to Arsenal — which has cranked up the pressure on Sarri. Roman Abramovich may own the Blues and be known to ‘make the major decisions’, but it upon the hard work of lead director Granovskaia that saw Sarri being appointed as successor to Antonio Conte last summer. And despite a great start that saw Chelsea unbeaten till November, that last few months have been difficult to the Italian gaffer, with Sarri unable to get his talented stars playing the kind of football that worked so well at Napoli, which has raised concerns that the 60-year-old may be culled by the end of the season. 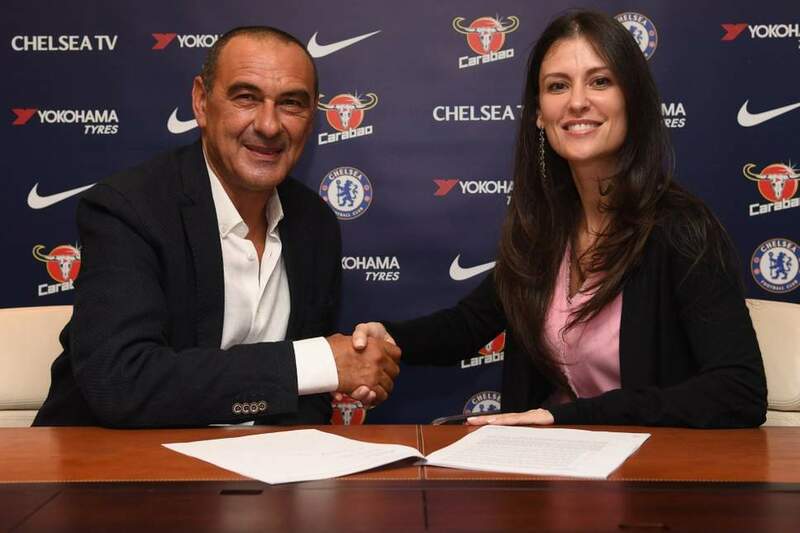 However, Daily Mail has poured cold water over any such claims and helped Sarri supporters breathe a sigh of relief, with the agency claiming that Granovskaia is backing Sarri to turn things around and sticking by him. This is despite Sarri privately expressing that he has major concerns over players being unable to grasp his instructions and tactics. Chelsea’s bad run of form results lately has seen them drop to sixth in the PL table, leading Sky Sports pundit Jamie Carragher to note that the Blues could sack him if a top four finish looks unachievable, placing further importance on the upcoming clash with Tottenham on February 27 as most crucial. “I would like to see them stick with him and not make this change, certainly in the middle of the season,” Carragher said on Sky Sports. “But unfortunately we know that these next fixtures, because of Chelsea’s history, you would imagine could be vital to whether Sarri gets the chance [to carry on]. I actually think Chelsea, and not just Chelsea but a lot of the clubs now, the top four is everything, getting into the Champions League, even sometimes more than a cup final. I actually think the Tottenham game is huge as opposed to the others. Chelsea will look to arrest their bad form when they face Malmo next in the Europa League. on Thursday night. It would be typical of Chelsea to be short-termist to the extreme and sack Sarri based on a run of results that was bound to happen given the sudden change in style and personnel from last season. The fact that they went unbeaten for the first few months of the season seems to have raised expectations unnecessarily, and the Italian manager will know that he will need to address issues for the short term so that the club can get back to winning ways and try and fight for a top-four place. Chelsea’s chiefs will know that there is a lot of trimming and adding to do in the squad if it is to respond to Sarri’s methods and reclaim it’s pace atop the English football pyramid, so they would do well to hang on to the former Napoli boss and give him time to rectify the squad and any obvious weaknesses.